Is it worthwhile scaring geese to alleviate crop damages? Scaring is often used as a tool to chase geese away from fields, either as a means to protect vulnerable crops or as part of goose management schemes to drive geese to accommodation areas. Geese are quick to habituate to stationary scaring devices; hence, active scaring by humans is often employed. However, few studies have tested how much effort is required for active scaring to be effective. 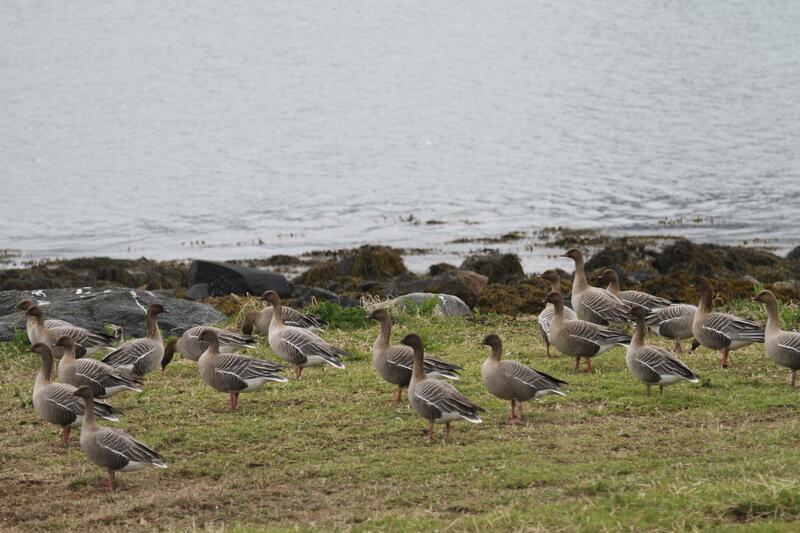 This paper presents the first study to analyse the relationship between active scaring and consequent effects on goose behaviour and field usage, having applied an experimental dose–response framework. The study provides guidance to farmers and wildlife managers of goose–agricultural conflicts on the efficiency of active scaring with regard to effective dose and optimal timing of scaring. Its results can also be used in a wider socio-economic evaluation to answer questions of whether scaring is cost-effective for individual farmers and, more widely in terms of planning how active scaring can be used in an integrated management design with ‘go’ and ‘no go’ areas for migrating species. The study is described in a paper published in the Journal of Applied Ecology and is publically available on-line.